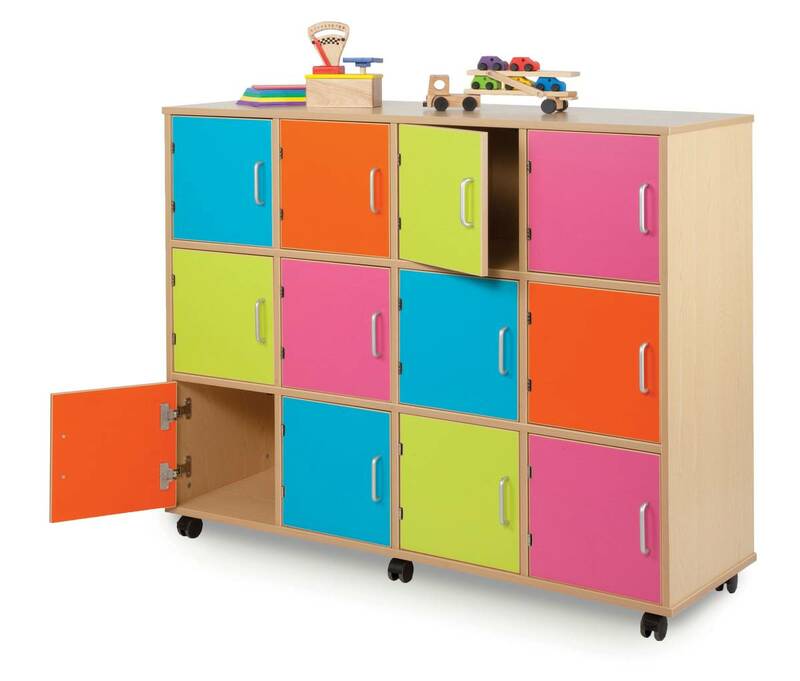 A great storage solution for any classroom or cloakroom! A great storage solution for any classroom or cloakroom!Easy wipe clean surface. 12 compartments. Ply edging to protect against the rigours of school life. Delivered assembled, complete with castors and trays.